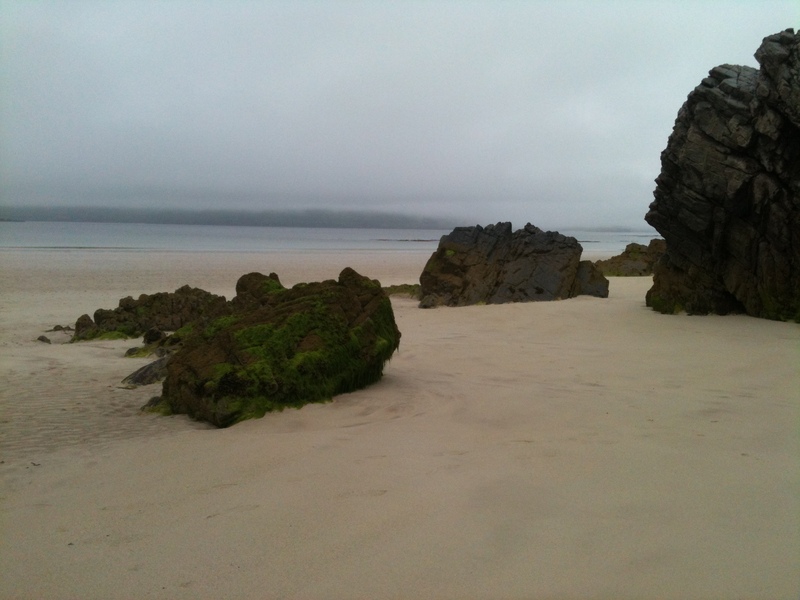 After visiting the Caithness landfill site, I took time to travel back to Ullapool along the dramatic coastal road. How wonderful to see so many clean beaches. Ito check this out but think this may be as a result of the tidal currents along this North West stretch of the coast which keeps the litter off shore, plus the litter that does reach the shoreline is washed out easily across the sandy beaches and not caught in rocks and stones . The result is often the tourist industries announcement of a converted ‘Clean Beach Award’. 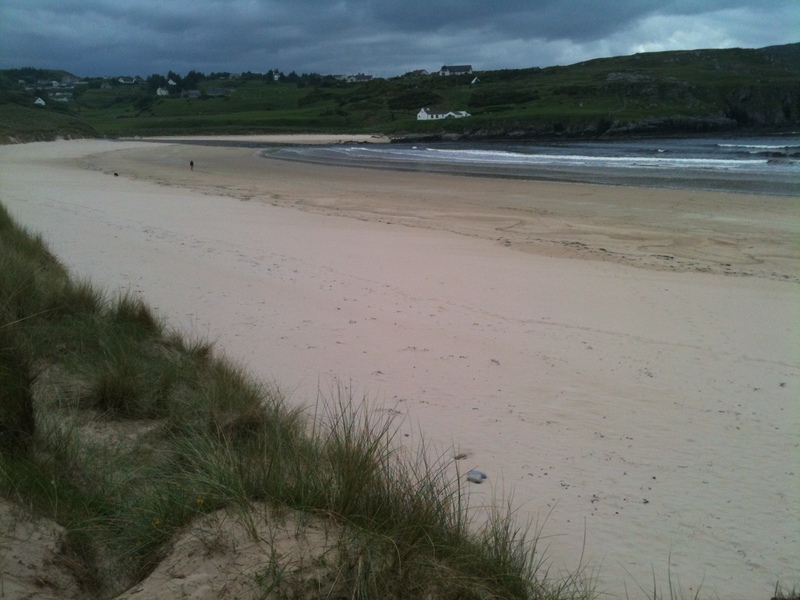 My litter notes on beaches in the bays of Farr, Sango and Balnakeil were so short, only 10 pieces over 500m an on some stretches had absolutely nothing! 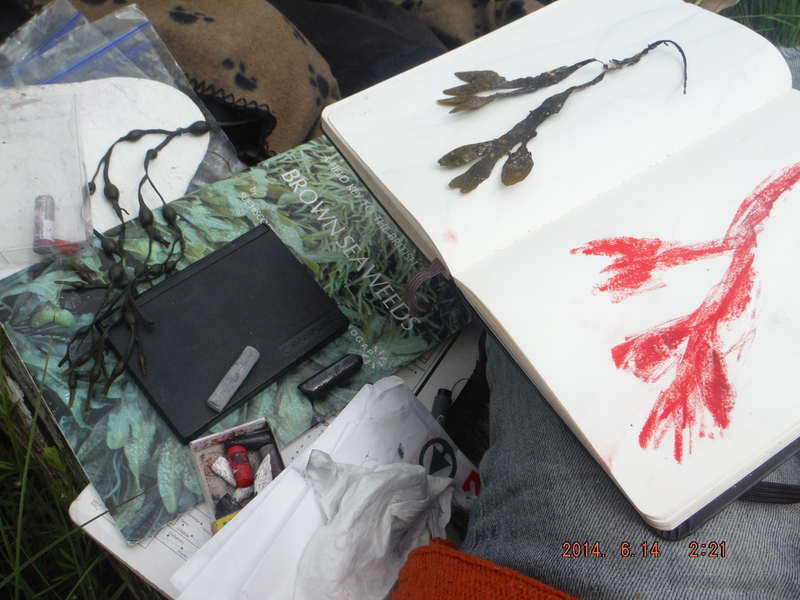 I rejoiced and ceased making notes on litter in favour of photographing, collecting and sketching seaweed. This reminded me that it was my ‘wanting to see’ the seaweed, stones, sand and all the marine life that occupies the Littoral Zone without having to search for it through the beach litter that started me off on this journey. 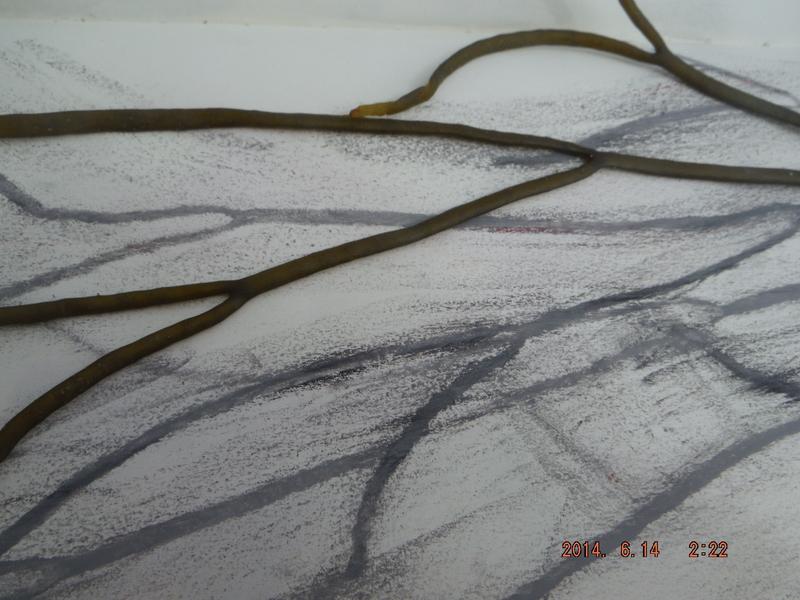 I look forward to making relief prints from the seaweed samples collected over the last few days, which I will be sending to crowd funding supporters of the project. I will be making further prints of my north west coast seaweed collection so please e mail me at littoralrtproject@btinternet.com if you would like to support the project through purchasing a print. Tonight I am sad to be leaving Ullapool and my friends here, but glad that this time I am heading east to follow the recycling journey of my ‘litter lines’ s. But I will be back to show the progress of my investigation findings in the autumn. Thanks to everyone in Ullapool for their support!